The 53 Series is Detroit Diesel’s second major engine introduction, after the 71 series. Since its introduction in the late 1950’s, this engine could be found in many applications, especially in marine and industrial uses. These engines are known to run for years, with proper maintenance. A smooth running air intake system is absolutely necessary to have an engine that functions like it should. 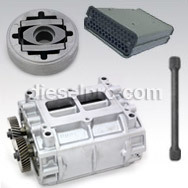 If you need any parts for your 3-53, 4-53, 6V53 or 8V53 supercharger, you have come to the right place. If you need any help, we are here for you, simply click on ‘chat’ above, or give us a call. 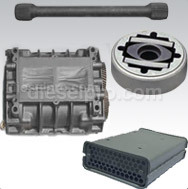 Whenever you are servicing your engine’s supercharger, be sure to notice other areas related to the air intake system. Check any place where air enters the system. This includes the air inlet screen, any filters, and/or air cleaners. When these are clogged, the entire blower cannot perform, and the engine will not run as it should. 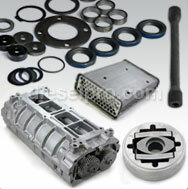 Be sure to check all of the seals and gaskets as well. 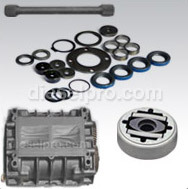 This can prevent oil from leaking into the combustion chamber and out into the exhaust system. Any small pieces should also be replaced whenever possible, such as any washers, retainer rods and clips, especially if a more major overhaul is performed. These small pieces can warp or change overtime, and so replacing them can prevent other maintenance problems later on.